Sorry it's been so long since I last wrote you. I'd give the usual excuses, about a new job and a move and a brief alien abduction, etc, but the truth is simply that I've made other things a priority. Yes, some of those things are important, like my new job and our new place and fighting my way free of the gladiatorial slave pits of Gromlan X. But I still look at the date on my last letter and cringe. You remember that song, "Don't Know What You Got (Till It's Gone)" by Cinderella? I've been thinking about that a lot lately, as I find myself struggling with a bunch of stuff I want to write, and only ten to fifteen hours a week with which to write it. I really appreciate the intentionally bad grammar of "you got" instead of "you've got." I really appreciate an all male rock band naming themselves after a domestically abused princess. How awesome would it be to play piano on a beach wearing a woman's nightgown? Also, it does not apply to me. That is to say, I did know what I got (till it's gone). I had forty hours a week to spend in front of my computer and my notebook last year, writing stories and columns and letters and book reviews and documentary reviews and books. And I loved almost every minute of it, even those times when I was frustrated beyond belief because the words wouldn't come, even when the words that did come turned into crappy stories that no one bought or read. I did what I loved, and I treasured it. Because I knew that at the end of the year it would be over. This is an old, familiar story with old, familiar conflicts - conflicts of money and love and time. No one ever seems to have enough of them. That's why old stories always end the same way, with two rich people getting married and living happily ever after. (Cinderella, of all bands/princesses, should understand that.) They go off into the distance with as much money, love, and time as they could ever want. I know in my heart that God will always provide enough love. And I know in my head that God will always provide enough money. But time is in short supply, and always will be in this life. For we are a mist that appears for a little while, and then vanishes, as James tells us. One of the chief obstacles to this perfection of selfless charity is the selfish anxiety to get the most out of everything, to be a brilliant success in our own eyes and in the eyes of other men. We can only get rid of this anxiety by being content to miss something in almost everything we do. We cannot master everything, taste everything, understand everything, drain every experience to its last dregs. But if we have the courage to let almost everything else go, we will probably be able to retain the one thing necessary for us--whatever it may be. If we are too eager to have everything, we will almost certainly miss even the one thing we need. There is nothing that will destroy the value of your time like the fear that you're not spending it wisely. This is a truth that I find myself learning, day by day, as I work and pray and read and relax and socialize...and write a little. Someday I hope to spend more time writing, before the cares of this world blow away in the breeze. But until then, I'll use what time I have, and send you letters when I can. Jordan Jeffers writes letters to his mother on the Internet because stamps are a form of witchcraft. 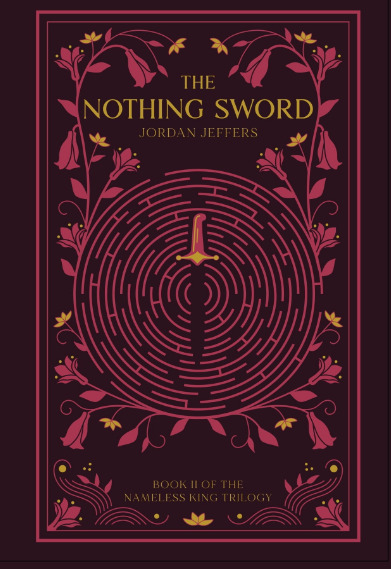 He is currently hard at work on a new book, The Nothing Sword, and a half-dozen other things. 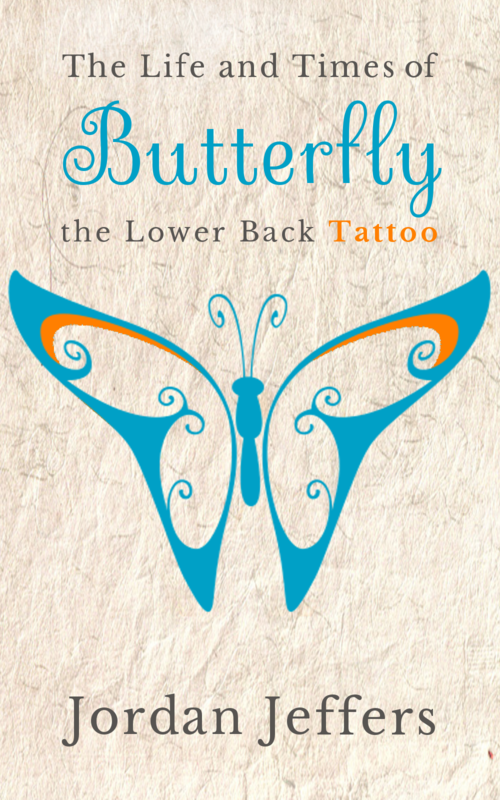 My newest ebook, The Life and Times of Butterfly the Lower Back Tattoo, is now live and available in the Amazon Kindle store and on Smashwords.com for $0.99. It's basically a "best-of" collection from the last year of web stories, along with two additional stories you'll only be able to get in the ebook. And fifteen other stories. The ebook will eventually be available in the Nook store and on Apple iBooks, if you'd prefer getting it from there. With the help of an army of robot slaves, you can now sign up to receive my newsletter, which I'll probably send out two to three times a year (basically whenever I release a book, or whenever I'm feeling lonely). If you sign up within the next week (2/28 - 3/7) I'll send you a Smashwords coupon for a free version of The Life and Times of Butterfly the Lower Back Tattoo saving you a whopping $0.99. If you reading this, you should stop and go to my Butterfly page to read The Life and Times of Butterfly the Lower Back Tattoo. And let me know what you think of it. I like hearing from people. You can read the whole thing on the McSweeney's website. Though I generally disable comments on this website (due to spamming and the ever present Internet cloud of hate), I do like to hear from people who read the column, so feel free to drop me a line using one of the electronic relationship buttons on the right. Last year, I made the transition from successful college student to full-time writer. This year marks another transition, from full-time writer to over-worked, split-attention writer (which is what most writers are). But writing isn't something I'll ever stop doing, so there will still be plenty of words flying at you in 2014. Here's a look ahead to what I've got planned. 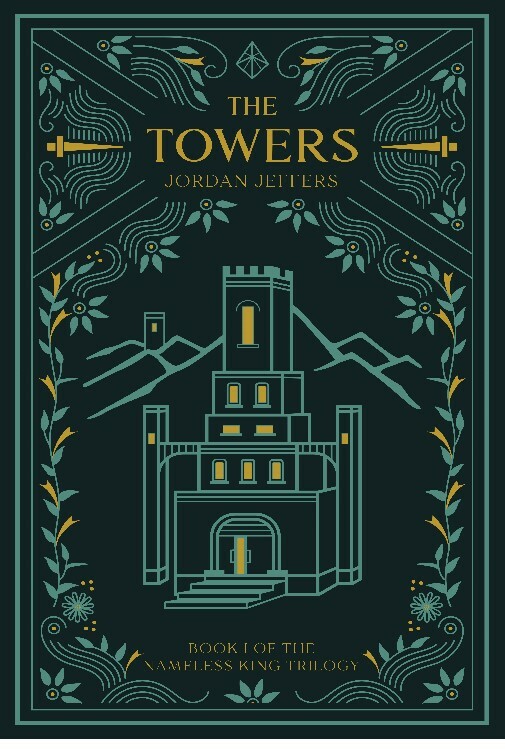 I first want to say thank you to everyone who has read The Towers or is planning to read it or isn't planning to read it but still suggested it to someone else. If there's one thing that writing a book has taught me, it's how blessed I am by family and friends. So thank you. And for those of you who are already asking me about a sequel, I plan on starting work on the next book in March, with the hope that I will once again have it out by my birthday, November 18. There is no title yet, but you'll be certain to hear all about it as that day approaches. February 1 will mark the one year anniversary of the Double J, and, in celebration, a "best-of" anthology of stories will be released that same month: The Life and Times of Butterfly the Lower Back Tattoo: And Other Stories. The release will be in ebook form only, it will contain several original stories exclusive to the book, and it will be $0.99. Look for it on (or after) February 19. My first professional science fiction story, "A Fierce, Calming Presence," will be published in the April 2014 edition of Analog Science Fiction and Fact. The April edition will probably come out in February or March, because that's just how magazines work. Links to purchase the issue (in print or ebook form) will be posted on this website when it is released. Analog is also carried by quite a few libraries, if you'd prefer to read it that way. The publishing schedule on this site will also be changing in two ways. There are very few people that will actually care about these changes, but I am one of them, and since I get to do whatever I want on this site, I'm going to run through the changes now. Instead of posting a new story most Wednesdays, I'll be posting a new story once a month, on the 19th of that month. The date is almost completely arbitrary, but the frequency is going down simply for time reasons, and because I have lots of other projects to work on. Rest assured, the stories will continue to be completely ridiculous, mildly humorous, and occasionally misspelled. Interviews with McSweeney's Columnists - I posted the first of these in December (with Ian Orti). More will be forthcoming. Short-short book reviews - All of these will also be posted on Goodreads, usually before I actually put them on the site. So if you're on Goodreads, you can get them there. I currently have eight friends, but I think I can get that up to ten by the end of the year if I buy some advertising. I've got a few ideas for some other stuff too, but these will be the meat and potatoes of the whole bloggy meal. And, as always, all promises are subject to being complete lies. Hope your year is lovely and peaceful, and remember you can drop me a line at any time using the electronic relationship buttons on the right. Happy new year. Happy birthday! I hope you are enjoying a slice of angel food cake while you read this. Now I know this letter is supposed to be for your birthday, but I'm going to make it about me instead. As a parent, I assume this is what you want. We're nearing the end of a long and strange year, now, a year where I did something that I've wanted to do for almost ten years. I became a writer. Not a writing student, or a writing major, or an aspiring writer. A writer. Someone who gets up in the morning, and sits down in front of their computer screen, and writes. And then gets up again the next day and does it again. Someone who sells stories to magazines, writes columns for websites, publishes a book. Someone who works a whole year and makes less than $1000. I did it all. Finally. We are terrified of losing the other person, so much so that we feel a compulsive need to confront that fear in a safe environment where we can deal with it appropriately. We are actually not afraid of it at all, so we enjoy flaunting our courage and confronting the possibility in a reasonable and straightforward way. We are strange, and so we think it is kind of funny to talk about strange things. Psychology! It makes no sense to me! Anyway, the other day I was lying in bed, thinking about what would happen if I died, and I realized I was cool with it at this point in my life. I don't want to die, obviously, but my outlook on it has definitely changed. At the beginning of the year, I had mixed feelings on the idea. Obviously the big draw is heaven. No more suffering, pain, sorrow, anxiety, fear, confusion, etc. Let's take a moment to think about what I just wrote, the infinite joy contained in that "etc." Sorry about that. I almost glossed over heaven for a second. I think about it far less than is good for me. Because heaven, of course, is difficult to think about, simply because it is so far out of our realm of experience. With what can we compare it? There have been moments in my life so pure and joyful and peaceful and wonderful that I have trouble even remembering what they were like, much less imagining something so much better and greater than them. And so it is easy to gloss over, to forget, to think of heaven as some sort of consumable pleasure, rather than the kingdom of God. I was always hesitant about dying, for I saw so much work to do here on earth. To leave before that work was done - this seemed like a great tragedy to me. And a great failure on my part. For I know how much time I have wasted in my life, how many fruitless moments can testify against me. How much time I've even wasted today. Yet that does not really bother me anymore. Because the year is over, the book is done. I had something to say, and I said it. I have a lot more to say, of course. God is almighty and God is love, and so I will never run out of things to learn about Him, and praise Him for. I look at the future, and I am happy, thinking of all the words that await me, the stories and essays and books and letters, and (much more importantly) the people who will read them. But if that is not for me, if I die before reaching the end of this sentence... No, still alive. My last thoughts will not be of regrets. And if I gained nothing else this whole year, that one difference was worth it. So my wish for you on your birthday is that you might have a year like that, a year that will leave you with no regrets, a year where you will, as you always tell me, take the big slide, and enjoy the ride down. In case you were wondering, I write letters to my mother on the Internet because stamps are a form of witchcraft. As I sat there, the boom box started playing “Blurred Lines,” and the three frisbee men immediately stopped their game and began twerking in celebration. One of them was actually pretty good. Like, suspiciously good. Like, I have a sneaking feeling that he watched the VMAs and immediately began twerk two-a-days, practicing for this exact moment, and a dozen or so other moments in the years to come, at weddings and clubs and house parties, knowing he would get himself a cheap laugh at Ms. Cyrus’s expense. Well, mission accomplished, Twerking Guy. You can read the whole column at the McSweeney's Internet Tendency website. Comments are not allowed on the Tendency, so if you have something nice to say, you can do it on this page. Jordan Jeffers is currently learning how to twirl baton. This is not a joke, just something funny that's actually happening. Feel free to give him electronic encouragement via the little Facebook and Twitter buttons below. It means more to him than you might think.